Is The Ecosystem Negatively Affected By The Eradication Of Disease-Carrying Mosquitoes? Unfortunately, mosquitoes are abundant on this planet, as there exists more than 3,500 species discovered so far. Considering that malaria alone kills more than one million people per year, it would seem that eradicating all mosquitoes from the planet would be a good thing, right? While the mosquito is, in fact, the deadliest animal in the world, eradicating every species that exists would be considered overkill by most experts. Of the more than 3,500 hundred mosquito species that exist, only around 200 hundred transmit disease to humans, and not all species require tropical locations with wet and humid conditions in order to thrive. In fact, mosquitoes have adapted to just about every type of habitat in the world during the course of their 100 million years of existence. As a result of their adaptability, they have coevolved with many other animal species, making the insects essential components in most of earth’s ecosystems. Despite this, some researchers have good reason to believe that eradicating some mosquito species from particular regions may not be a bad idea. 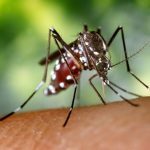 Experts have traditionally claimed that eradicating even one single mosquito species could have a dramatic effect on their native ecosystem, as mosquitoes provide numerous animals with food, and many species are active pollinators of a variety of different plant species. However, a few researchers believe that the ecological necessity of mosquitoes is often overstated, as the ecosystem has the ability to recover from an animal group’s extinction. It is likely that the void left by the sudden absence of mosquitoes would quickly be filled by other existing organisms, and most forms of life would continue to thrive despite their loss. For example, in a region of western Africa, scientists have already shown that not a single native animal species in the region would suffer on account of the complete loss of the native malaria-carrying mosquito species known as An. gambiae. One notable medical entomologist, Carlos Brisola Marcondes, even claimed that humanity would benefit tremendously from a total eradication of all mosquito species. Perhaps humankind can do without bloodsucking and disease-carrying airborne creatures after all. Do you believe that mosquitoes will be absent in the future world? Applying insect repellant containing DEET, picaridin, oil of lemon-eucalyptus or IR3535 when outdoors and use as directed on the product label. Apply repellant over top of sunscreen, and reapply every four to six hours. Minimizing outside activity between dusk and dawn when mosquitoes are most active, though it is important to note that mosquitoes that transmit chikungunya are active throughout the day. Wearing long pants, long-sleeved shirts and closed-toe shoes when outdoors. Eliminating areas of standing water around the home including clogged gutters, birdbaths, flower pots, tires and kiddie pools or untreated pools. Mosquitoes need only half an inch of water to breed. Screening windows and doors, and patching torn screens. Many Americans may be reluctant to face the fact that mosquito-borne diseases remain a threat to public health in the country. This reluctance is due to the relatively disease-free summer that the vast majority of Americans have been enjoying so far this year. 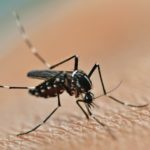 However, it would be wise to keep the recent Zika outbreaks fresh in your mind, as disease-carrying mosquitoes have been discovered in three more states this year. Just recently, the states of Oklahoma, Connecticut and Utah have reported the presence of west Nile carrying mosquitoes. Luckily, no cases of the disease have been reported among people living in these states. Just a few days ago, Davis County officials announced that they had captured several local mosquitoes that had been carrying the west Nile virus. This is the third county in Utah to announce a presence of west Nile-infected mosquitoes after Box Elder and Uintah Counties earlier this week. Luckily, no victims of west Nile have been reported in Utah. The lack of victims may not be do to luck, as the Salt Lake City Mosquito Abatement District has been working all summer long to monitor mosquito activity within the state. This aggressive mosquito control campaign, has, so far, been a success within the state. The district has also been spending considerable amounts of time conducting research in order to determine which particular eradication approach is most sensible. Both biological and chemical eradication methods have been considered in the state. According to the districts assistant manager, Gregg White, mosquitoes can rapidly develop a resistance to insecticides, which makes constant monitoring and experimentation with different chemicals a necessity. 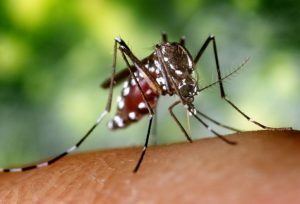 White also claimed that he personally prefers biological mosquito control methods as the first line of defense against mosquitoes. So far, the preferred method of biological control involves releasing mosquito-hungry fish into waterways that are populated with larvae. Do you believe that west Nile-carrying mosquitoes will be found in a majority of American states by the time the fall season arrives?